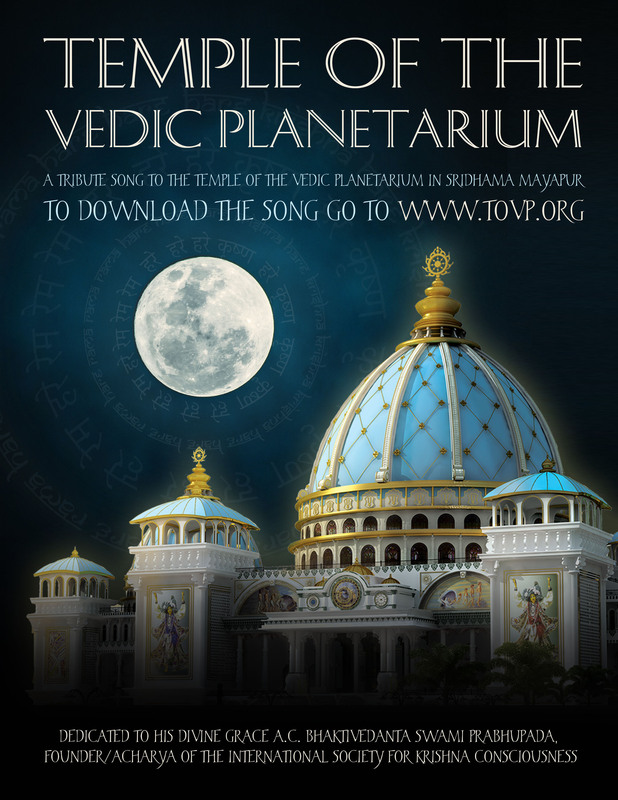 In the wake of the recent historic Chakra installation ceremony on February 7th, the TOVP is pleased to release this special Tribute song, Temple of the Vedic Planetarium, to all devotees worldwide. 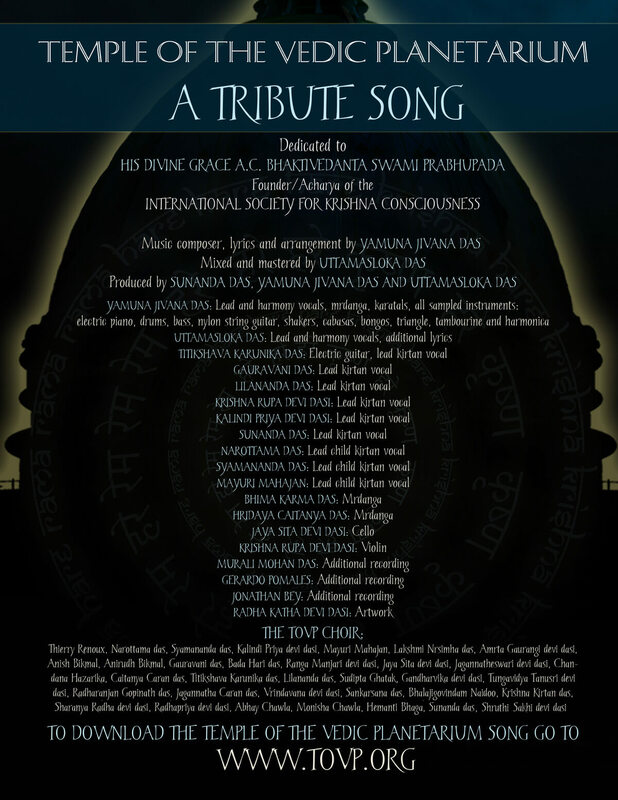 Written and composed by Yamuna Jivana das from South Africa, over fifty devotee singers, musicians, recording engineers and artists from all over the world contributed their talents to help create this beautiful composition in glorification of the temple, Lord Caitanya Mahaprabhu and Srila Prabhupada. The entire TOVP Team wishes to recognize and thank all the devotees who helped to make this song possible. Become a TOVP Ambassador and share this announcement with all your friends and relatives and spread the TOVP message through music..
Use the links below to download the song, the song cover art and credits page. Or, start playing it NOW. Please note there are several file options of the song available in this download: high quality (lossless) — flac (Windows, Linux and Android devices) and m4a (Mac and iPhone/iPad devices), and regular (lossy) — mp3/m4a. We recommend the flac and m4a files for the best quality sound, but if your playback device doesn’t work with the flac and m4a files, the mp3 file will always work. If you are unsure which file works best with your system/device, simply download the mp3 file which can be used on all playback devices. Attention iPhone/iPad users, first download it to your computer and then transfer it to your iPhone via iTunes like you do for all other files.